How do croissants get their flaky layers? What is the difference between pastry cream and Bavarian cream? What is genoise cake? Can millefeuilles really be made in a home kitchen? For anyone who has asked themselves about the secrets of French pastry, Bake Like a French Pastry Chef holds these answers and many more. 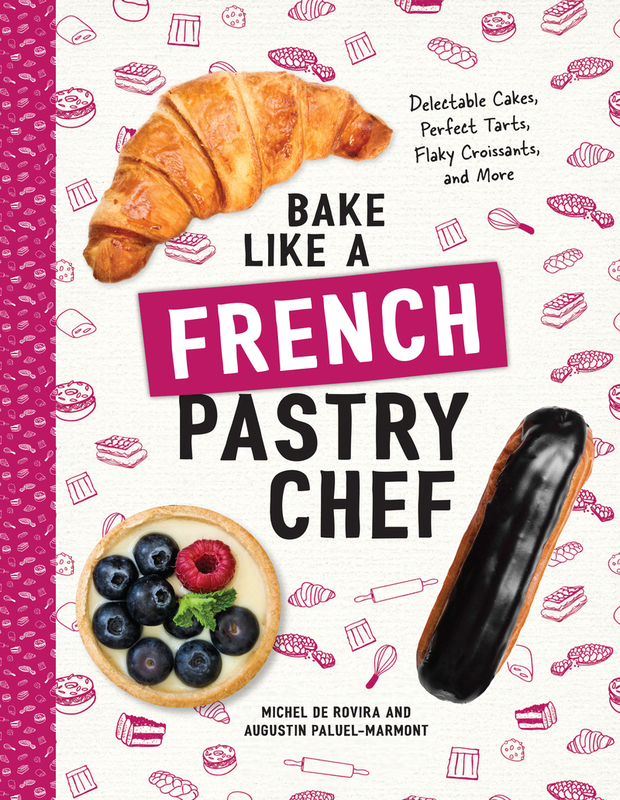 Created by the Parisian cookie masters Michel et Augustin, this comprehensive guide starts from the batters, doughs, and creams that form the building blocks of French pastry and includes complete recipes for everything from brioche to mousse-filled cakes. Step-by-step instructions, more than 700 photographs and illustrations, and down-to-earth troubleshooting tips will give readers the confidence and know-how to achieve pastry perfection. For beginners and aficionados, francophiles and pastry lovers, this charming and playful manual covers the core techniques and recipes taught in pastry schools worldwide. Michel de Rovira is the co-founder of the Paris-based cookie company Michel et Augustin. Together with a team of kooky cookies, he strives to share French pastry know-how around the world. He lives in Paris. Augustin Paluel-Marmont is the co-founder of the cookie company Michel et Augustin and leader of their New York outpost, which opened in 2015. He lives in Brooklyn, New York.